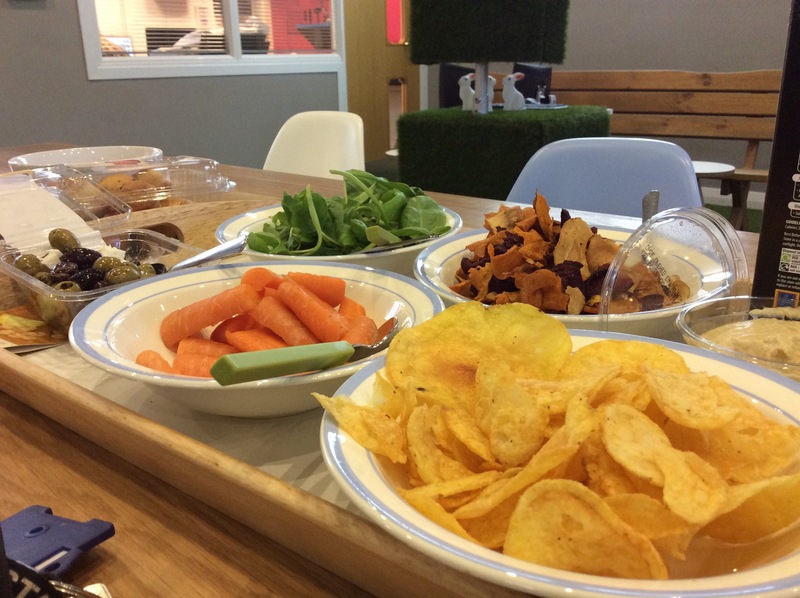 Our staff enquiry group, who have volunteered to explore SOLE in more depth, met together for a lovely lunch the other day to talk about all things SOLEs. It was great to hear from the staff about some of the things they have been noticing during their SOLEs experience. 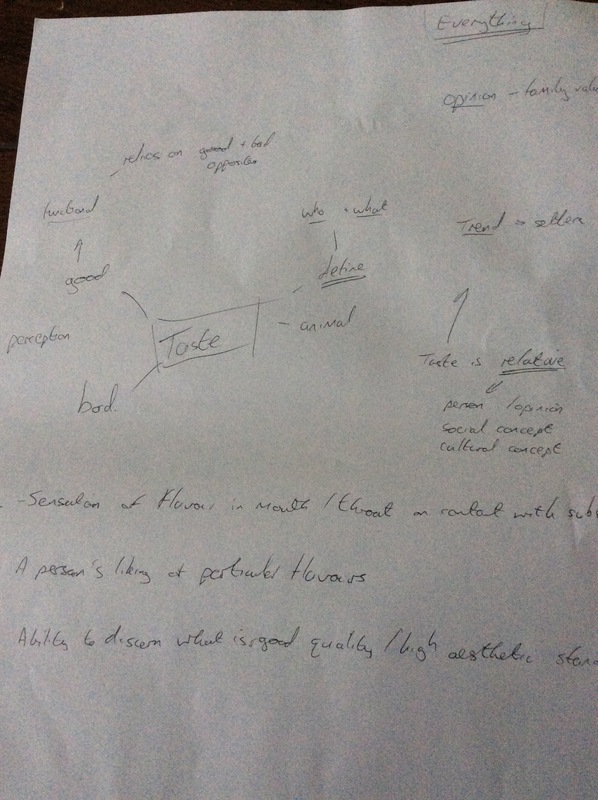 One teacher would like to look at year 9 English classes and compare the experience of learners using SOLE and those not using SOLE on the impact of spelling, punctuation and grammar in particular. Another teacher would like to work with some year 7s in Geography through a particular topic and the impact SOLEs can make on those learners with some base line testing. 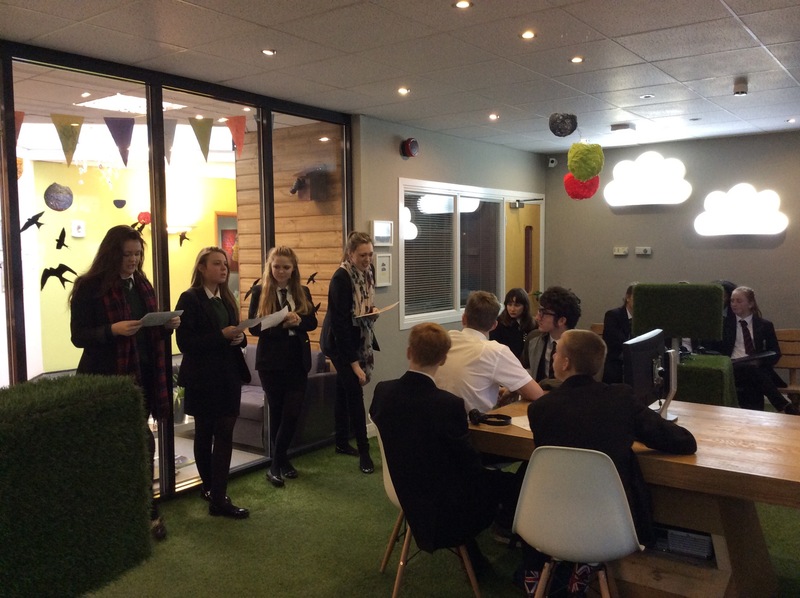 Other staff involved are finalising ideas. Looking forward to working together to experiment. This year we have a different group of staff voluntarily signed up to explore SOLEs and independent learning. It was great to work with one of the teachers in that group last week as we experiment with SOLEs. One of our aims of the session was just to notice. 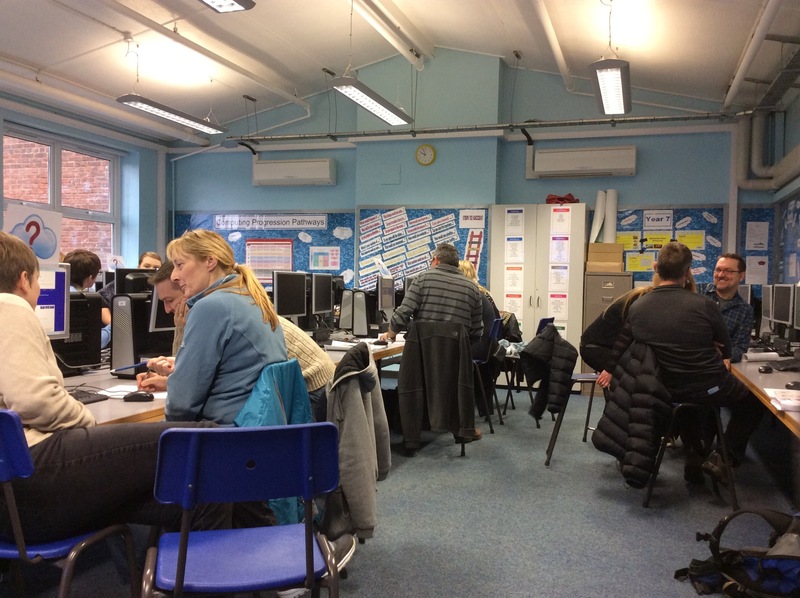 The staff enquiry group are each running their own SOLE session this term and will take notice of things in order to find one small element they are particularly curious about which they can look at in more depth over time this year. 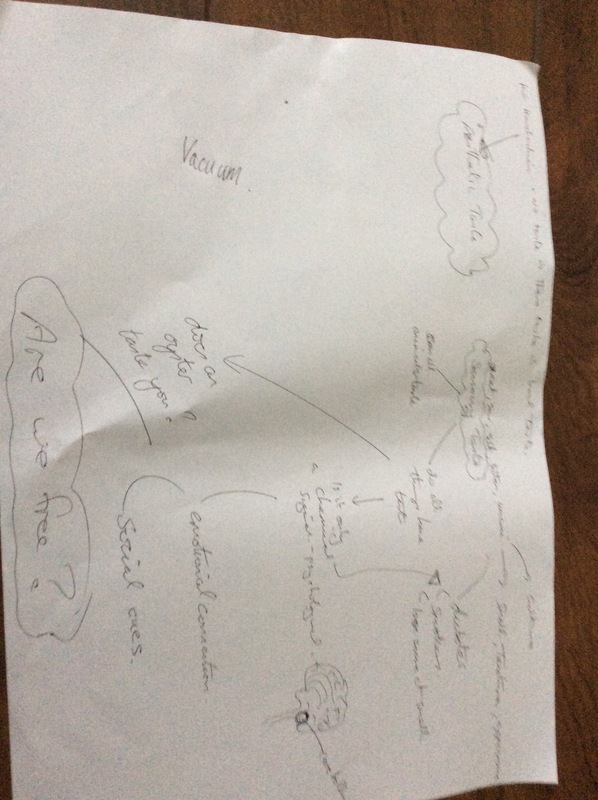 Something the teacher wondered might be interesting to look at would be the sites that they have used to research the question afterwards. Our fantastic IT man, James, joined us for that chat and will help us analyse this information after a few sessions in the future. We discussed the importance of what the students do with what they find on the Internet. Each of the groups did their feedback. We looked at different questions related to water. We started with ‘What is water?’ And found out it is a compound and the earth is made up of 70% water. Wetness is a description of our experience in such a way it impinges on our state being. 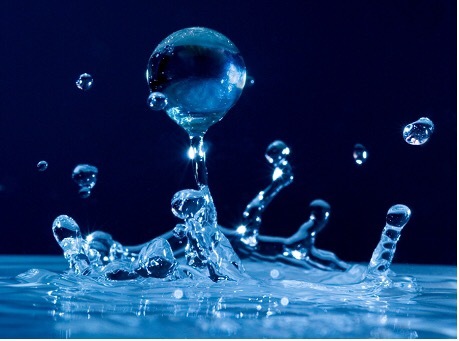 Scientists explored why we feel wetness at Loughborough Uni and if water is colder we feel wetness more. 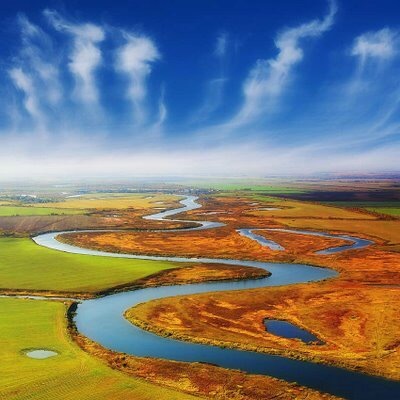 If our nerves are blocked we struggle to feel water. Nerves can be blocked if skin if hairy. Bare skin feels water better. 2. Water is not wet it’s only a description because of our contact with water and our brains. We used the same website. It’s about Perception. Water is an element we need it to hydrate us. If we put our finger in oil we don’t feel wetness like we do with water. It’s about sensation. 3. Wetness is a description. Warm water is not the same and it is not the same as milk or juice in a sensory way. It’s about the way we process information. It’s also about pressure and movement. 4. What is water? It is colourless. It is from the sea, river and rain. It’s the basic fluid for living. It feels wet because our hands are dry. 5. Water has particles. These can change. If they are solid particles they are more compact they can also lose shape. Water can be wet but can be a solid or a gas too. Do you get wet if you come into contact with steam? Or wet from ice? Lots of interesting learning. It was clear at points that the groups in some cases had copy, paste and each repeat information from the same source. We asked how we could avoid this next time and get an even wider range of answers. They suggested they could move around more and share information and try not to just copy and paste but find other sources on the Internet. The teacher has gone away with a new SOLE experience and some time to ponder before we meet for our SEG lunch to think about something about this experience that has made him curious. Watch this space…. 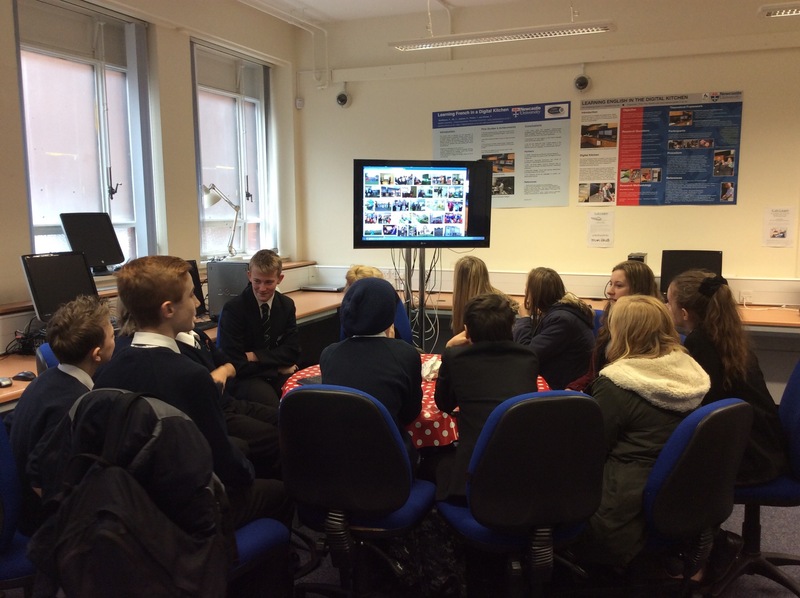 Following the launch of SOLECentral on 10.11.14 both young people from Greenfield (The EngineHeads) and young people from George Stephenson (The Committee) both met together with Professor Mitra to talk all things SOLEs and teaching & learning. What a lovely day of sharing and learning at ILab at Newcastle University. The young people were all amazing. 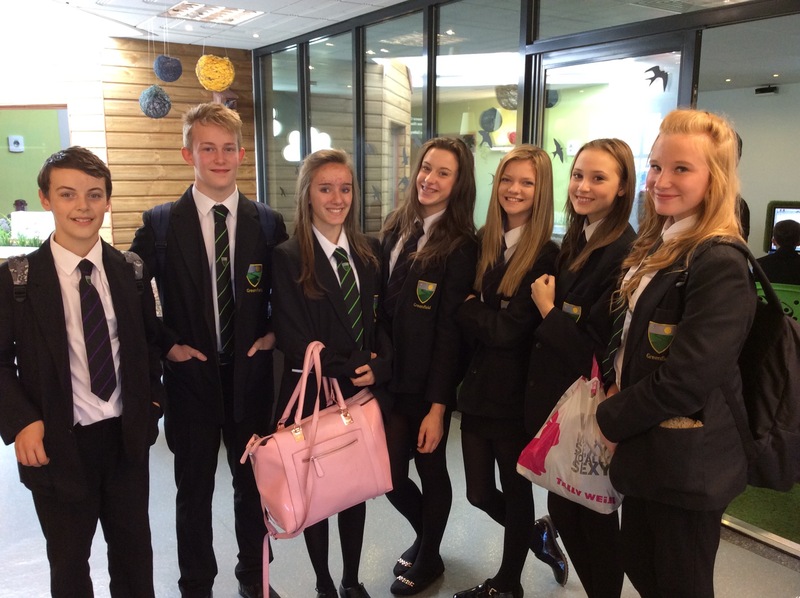 They all got on so well and were so articulate about complex concepts about SOLEs and its impact on learning. Very, very proud. Who uses our School in the Cloud labs at both schools the most/least.? Who likes using it, why and who doesn’t and why? We wanted to explore these questions about the teachers and students as we are all learners. 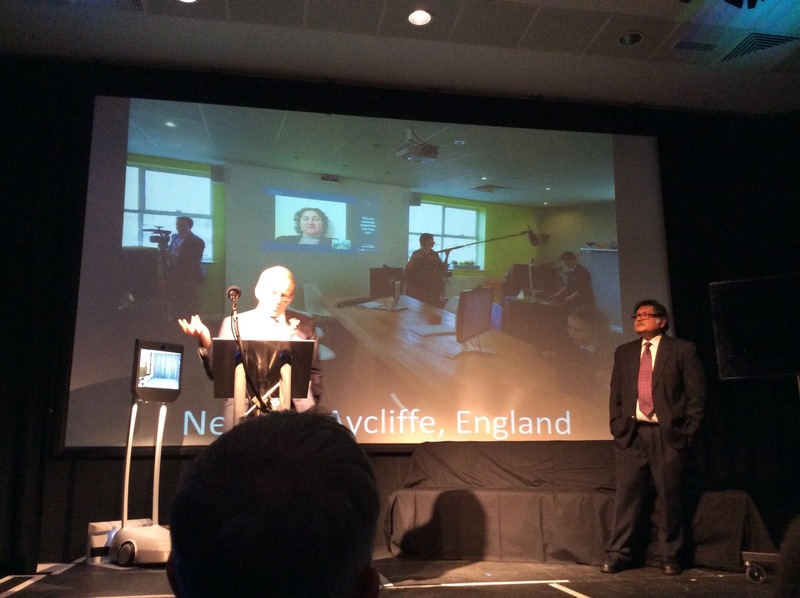 We were interested to hear the things we had in common as TED SOLE labs in the UK and things that are different too. Sugata explained that all the things we are learning from this experience and sharing are important and will go around the world for others to think about too. Sugata explained from his view that SOLEs can be a big change for some teachers to understand you don’t ‘teach’ inside a SOLE. He explained some of the problems he is facing with teachers, with understanding, with governments and with technology that can sometimes let us down. Some of these technology problems are happening frequently in the Indian labs. The Engine Heads and The Committee were given 10 minutes to talk about some of the issues Sugata raised and to think about their own labs. Immediately they fixed up one of the computers and all gathered round it to collaborate, show each other stuff and talk. Loads of interesting things came out of the discussions. I took notes throughout the day and wrote down direct quotes but may be paraphrasing some of the discussion as the debate was fast and furious and I may have missed something. The group discussed who used the space and who liked it. The students thought that year 7 and 8 like to use the lab more. One student thought that some teachers don’t seem comfortable enough yet to use SOLEs but some are a lot more used to it now. 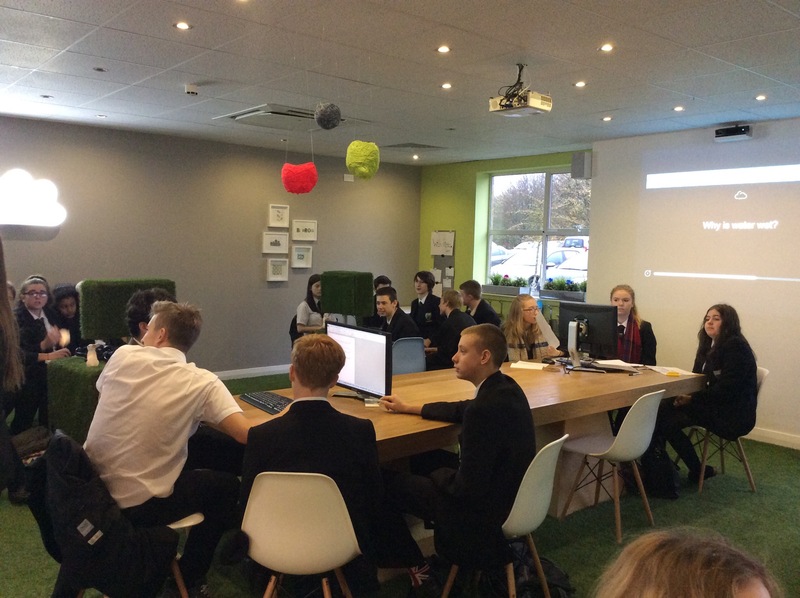 Both schools explained that lots of students and teachers use the space including primary schools, holiday groups and other schools across the region as well as new friends who have visit from across the globe. Sugata explained that one way to explore gum health could be to ask the primary school group does anyone have a shaking tooth? Are you born with teeth? So then what happens? So if you grow teeth then what happens? If teeth then stop growing and they fall off why do they grow back? Well if they grow back do they last forever? If not forever and my grandma has none after decades why do they not grow back a second time? 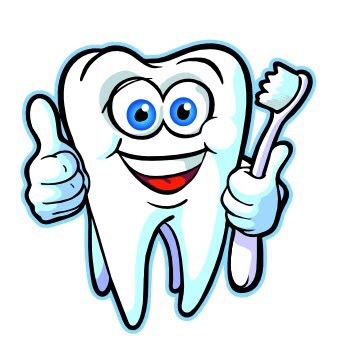 This will hopefully create a curiosity and the students will do a SOLE and might find out about milk teeth and why we have them and why our gums need to be strong and may get to gum health…? It’s good to try and think of the right type questions for the right types of ages to make them curious. The young people explored questions a bit further and thought about the types of questions and subjects you can apply this. Sugata explored this further with the group and suggested that SOLEs can be useful for helping to question the need for arithmetic for example. Sugata then talked about a GCSE question ‘what is an oxbow lake’. One student suggested that people would just copy and paste and not necessarily learn. Sugata wondered if you used the Internet in exams whether you would ask the same type of questions in exams…. What could you ask instead…? Sugata added you can make the assumption that if they copy and paste they know the right things to copy and paste and there skills in working that out. GCSE needs to change and include meta learning, judgment and personal opinion. How do you measure creativity and imagination too? Sugata added that sometimes SOLEs can feel slow compared to ‘traditional’ teaching as its not someone at a board telling you what the answer is which can seem quicker. SOLEs can feel slow. The group continued to explore other areas of SOLEs including the role of the granny. 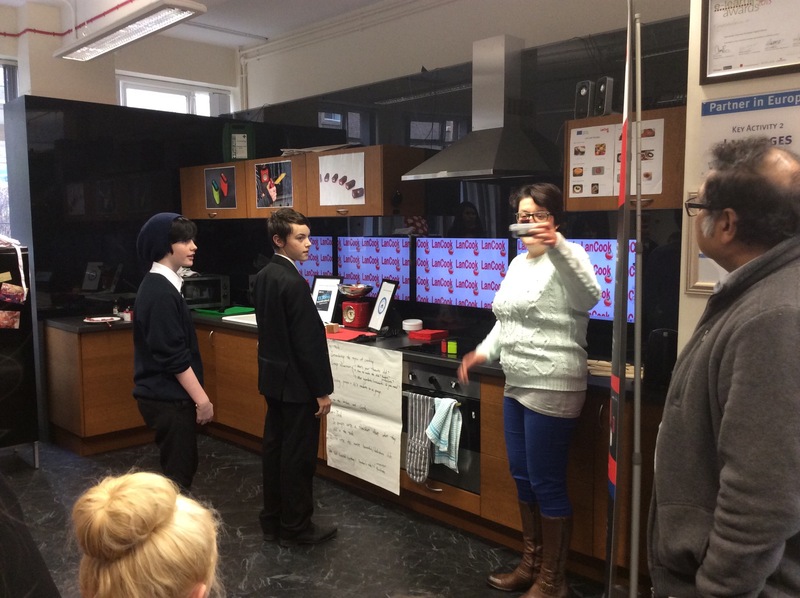 We were also very lucky to be able to hear from Cathy Ellis in her role and also Anne Preston and the digital kitchen. Thank you to everyone for sharing their thoughts and experiences. It was so useful to hear, with honesty, how the young people who are helping lead this learning feel about SOLEs and the difference it can make. Was a pleasure to work together. This is an additional resource, research and information point for SOLES and the School in the Cloud Project. 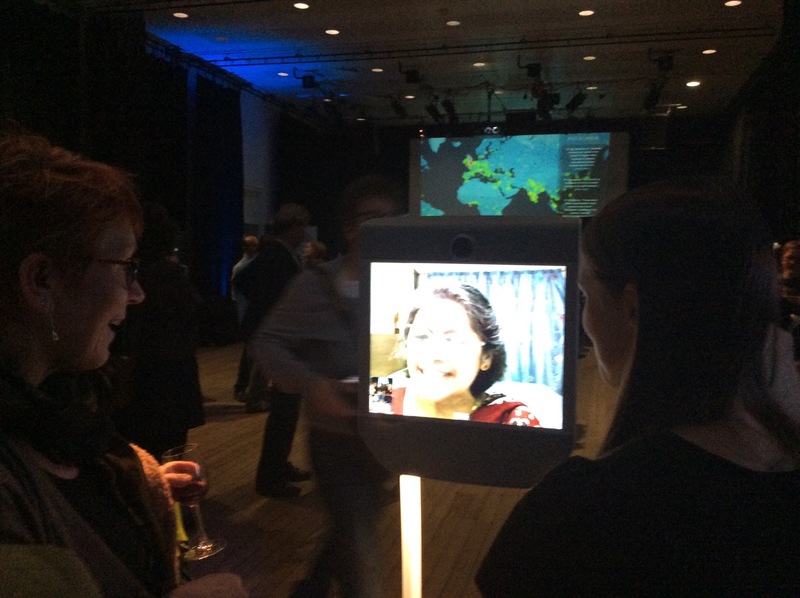 Suneeta Skyped in to talk about the granny cloud and cleverly manoeuvred herself around the stage and the room through a fancy technological portal! 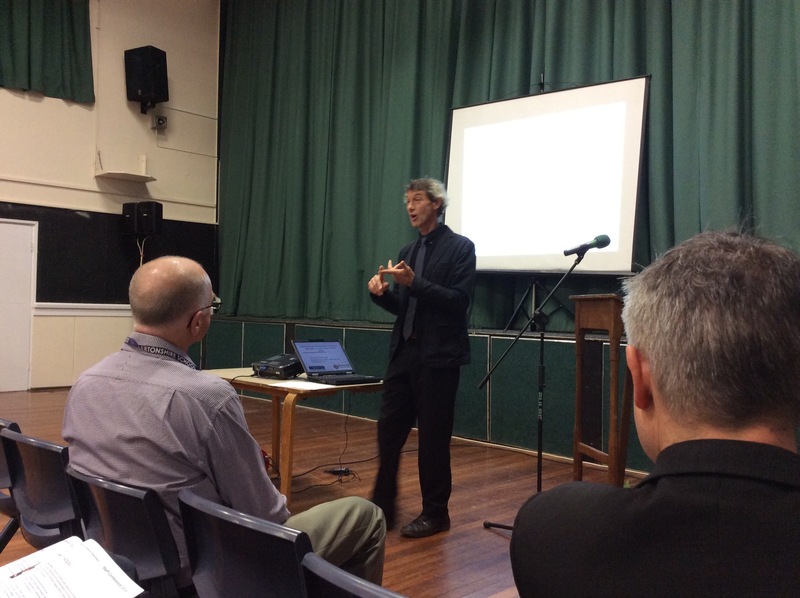 And our Head, David, did a fantastic job as he spoke to the room about the power of questioning and deeper learning. The day started with an old lecturer of mine, David Leat from Newcastle University and his keynote speech. He set the tone for the day and began to explore notions about developing independent learners through teaching and learning. “We are social animals, we become human through others” and the importance of interdependence in order to be independent. Something that is present in much of the work we do at Greenfield but seems particularly present in SOLEs. I worked with 2 groups of staff from across the federation who had volunteered for the session. We were exploring SOLEs, sharing the context in which we are developing the work at Greenfield, the principles of SOLEs and discussion about how it works in practice with space to share fears, concerns, assumptions or experiences of the group. After a brief introduction, a look at our Room 13 video ( Vimeo.com/greenfieldarts) and the principles of SOLE, we set the self organised groups a question. The richness, breadth and depth of answers were fascinating and helped to highlight the potential of SOLEs for the learners. It was great to give the staff chance to experience SOLE first hand and to consider the process. Taste in fashion what is good and therefore means there can be bad taste. Who decides this? How do we get trends? Who are the trendsetters? Could explore an educational social experiment – Put some green dots on people how far can you take that social experiment! Air doesn’t have a taste or does it? are we used to it? We thought that Kim Kardashian had no taste but we just realised it was bad taste! There is aesthetic and sensory taste. It seems to us to be an inconclusive argument. Like if a tree falls in an empty place would anyone hear it? You need a brain to interpret taste. So many amazing discoveries with this question and so much debate about the SOLE process and the learning generated by this. Some questioned the question and said it was too restrictive, some said they had finished part way through the session and couldn’t find anything else out. 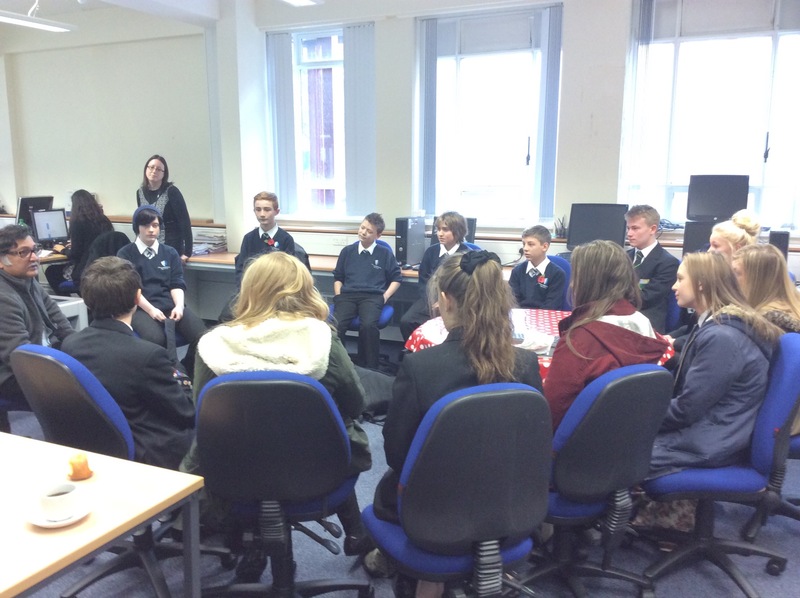 Some were concerned about student behaviour in a SOLE session and others couldn’t see how it could work for them. It was interesting to discuss these things and gently challenge some of the concerns at the end of the session as the breadth, depth and variety of answers to be question was genuinely astonishing. I learnt so many things I didn’t know (and was even more surprised as I have once asked the same question with another group). We had a great deal of debate and discussion around these points and many others at the end of each session. This reminded me, which is something I shared with both groups, that one of the most powerful things SOLEs does in my opinion (demonstrated a great deal this day) is it creates real space and time for teachers to question their assumptions. By not being an active part of the session in the ‘traditional’ sense but in sitting alongside it observing and noticing, we are able to articulate and question many assumptions that have developed over time that can be small, hidden or very subtle. Noticing these and challenging them in some way can bring about real change. I think this is powerful and can really change the shape of teaching and learning, helping us generate what we all hope for- independent, engaged and curious learners. What lovely staff, what great debate and what wonderful learning. Thank you. Really looking forward to working with the wonderful Rachel and Sally alongside their colleagues at the North Allerton and Catterick Federation Conference this week at Allertonshire School. How can we work together for the benefit of young people in the federation to enable them to become confident, independent learners? 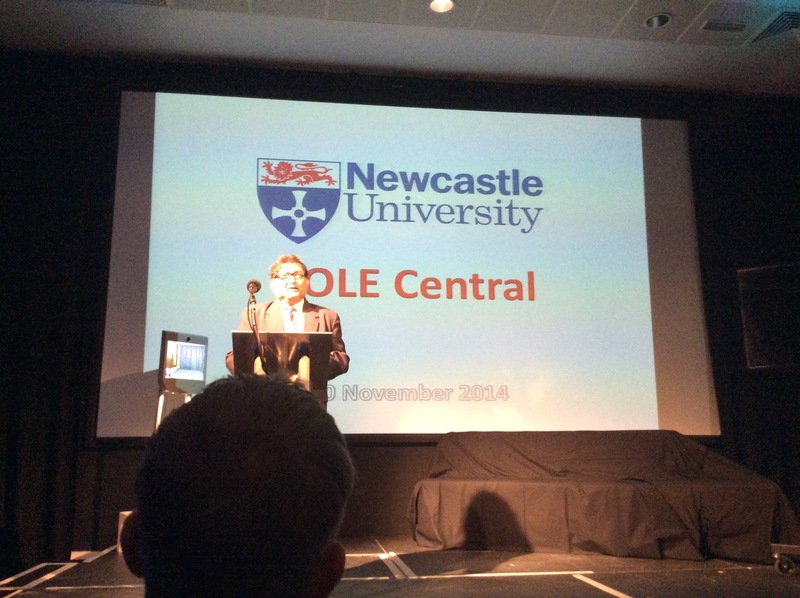 I have been invited to share our experience of SOLEs, how we developed the work here at Greenfield and how in my role I support and encourage staff to use SOLEs and the principles of Professor Sugata Mitra’s methods so that colleagues at the conference can consider this in their own context. 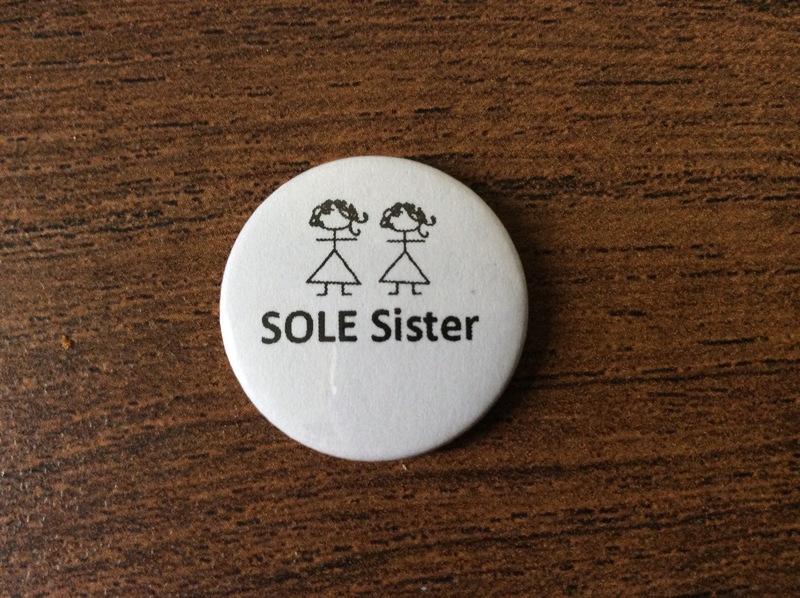 Thrilled to be invited and delighted to be working with the self named “SOLE sisters”, Rachel and Sally. Sally has been thinking of a range of great questions to use with the staff as they explore a SOLE session themselves through their own experience. I will guide them through the context, our experience and the principles of Sugata’s SOLE method so that after their feedback and answers we can reflect on their session and discuss any questions or reservations they may have. I will try to follow the same type of format that our fantastic EngineHeads carried out during a recent staff SOLE session at Greenfield. I can’t guarantee to be as good as they were! This is the first of a series of conferences this season which we have been invited to attend and share our learning. Looking forward to it!